Tell us what is needed, we will get it done. 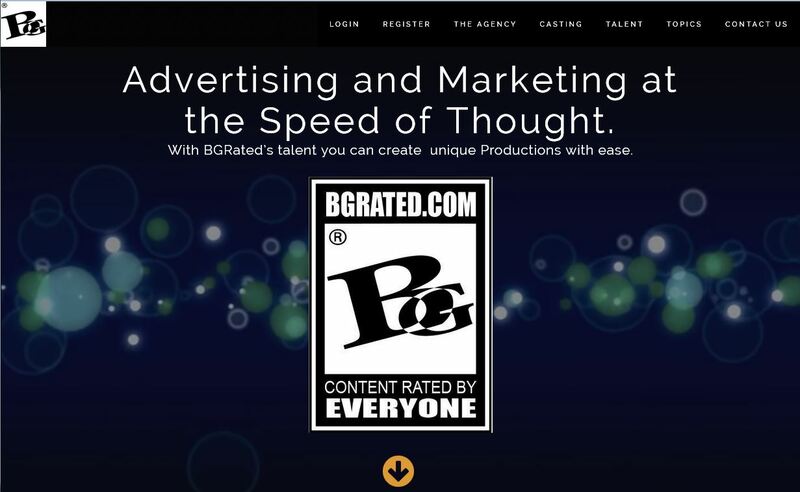 BGRated is able to complete Vendor requests using our Communication hub for all productions including feature and independent films, commercials, TV series, music videos, fashion shows and radio. We do research to make sure what we bring is a perfect fit to suit any campaign. BGRated Social Media practice, the first of its kind amongst major #talent agencies, advises and communicates with individual and corporate clients through all types of media, supplying best-in-class content, marketing, engagement and monetization strategies usually done in-house to ensure high quality visual work. Our Talent is recognized regularly in all areas of the industry, including #film, television, commercials, voice, print, branding, public appearances and endorsements. MMA Fighters, IFBB Pro bodybuilders and theatrical style dancers. Culturally diverse talent. BGRated Talent is more than a singular business. We cater to Models, NonUnion, Union & Background Performers, Talent, Media, Casting and Production. Our agency was once a group of talent, actors and background from various TV shows, films and numerous commercials that felt the need for diversified talent. BGRated now helps many become part of the industry that once thought it impossible. BGRated is at all times looking out for brand new models , actors and other Talent since our consumer’s demands are at all times changing. We rigorously choose our roster with the concept of discovering a perfect match for our clients. Interviews/auditions and requiring each candidate to complete an extensive Talent profile we believe, is the best method to ensure success for both Talent and Casting. We represent male, female and younger talent. We have media designed to introduce Talent to Venders; we prepare profiles for each client with 4 styles of photos (Portfolio, full body, selfie and “in the moment”) accompanied with video or audio. We then send this digitally to Vendors for review. Naturally the more seasoned Talent will have professionally designed shots available. In these cases we digitalize everything. All information is then stored on our database for quick access. (Comp Cards and full portfolios available upon request). BGRated process depends on how your establishment works. We try to mold to the way our Vendors prefer to get work done. If you require PDF, email, voice or online presence of the Talent we can accommodate without hesitation. We have Models, ACTRA, UDA and of course Non Union Talent available at your disposal. Special skills, Stunts professionals, IFBB Bodybuilders, UFC and performing ARTS are on roster as well. Vendors tend to request us for High Fashion, Editorial, Promotional, Film, TV, Commercials, Infomercials, Print, Fitness, Background, Glamour, Promotionals and runway. We been talking all day. Tell us what you require.